You may know him as Po, the panda on the Emmy® award-winning Kung Fu Panda: Legends of Awesomeness, but that is just the tip of the iceberg for California native, Mick Wingert. Originally hailing from the San Joaquin Valley, Mick has been a working voice actor since 2000 and has worked in television, film, stage, new media and live events. 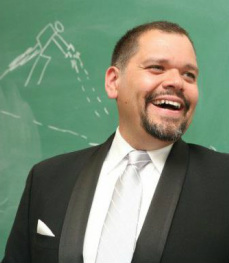 Mick first made a splash as Dreamworks’ franchise warrior Panda in 2008 in the Annie® award-winning Kung Fu Panda video game. Since then, along with sharing the role of Po with Jack Black, he has performed dozens of memorable characters in in animated television programs, interactive video games and films such as Marvel Superheroes Frost Fight, Guardians of the Galaxy, Marvel Avengers Assemble and Lego Marvel Avengers Reassembled, as Iron Man [Marvel Animation Studios], TitanFall 2 as Kane [BioWare], Teenage Mutant Ninja Turtles: Mutants in Manhattan as Raphael, [Activision], Batman: Assault on Arkham [WB home video], Elena of Avalor and Sofia the First [Disney], Breadwinners [Nickelodeon], Tinkerbell and the Pirate Fairy [DisenyToon], T.U.F.F. Puppy [Nickelodeon], The Princess and the Frog [Disney], Batman: Year one [Warner Brothers] ,The Avengers: Earth's Mightiest Heroes [Marvel], Bones [Fox], Jonah Hex: Two Gun Mojo [Warner Brothers], and more. In 2017, Mick also became an official cast member of the ‘ArrowVerse,’ voicing the character of Vigilante on the fifth season of Arrow on the CW. 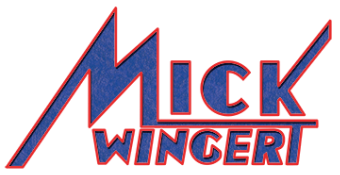 Mick Wingert and his wife, Shawna have two boys, a dog, a cat, four leopard geckos, a bearded dragon, a red-tailed boa, a box turtle, a leopard tortoise, an albino corn snake, a missing tegu and other assorted pokemon and currently reside in Southern California.